Rijeka midfielder Mate Maleš will not be feature in Niko Kovač's plans for the World Cup in Brazil. 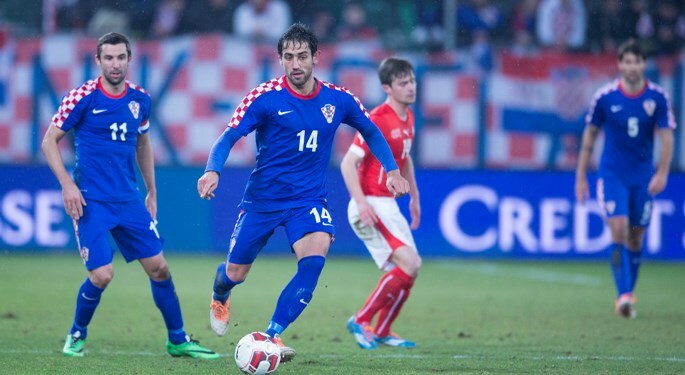 Since Niko Kovač was handed over the reins of the Croatian national team, Mate Maleš was in the squad on both occasions, and made his debut in the friendly match against Switzerland in March. Unfortunately, Maleš will miss FIFA World Cup through ankle injury. His physiotherapy has failed to produce the expected results, and therefore Maleš will need surgery that will definitely rule him out. "I am sorry that Mate has to miss the national team preparations and miss the chance to make it to Brazil. However, he is a young lad with the whole career before him. He will have enough opportunities to play for the national team, and we all wish him a speedy recovery", commented head coach Kovač.